﻿ Strat a Mini Peanut Oil Production Toady to Process Your Peanut Oil! Our mini peanut oil production plant can also extract other vegetable oil plant besides peanut, such as canola, sunflower seeds, rice bran, cotton seeds, palm kernels and sesame seeds. 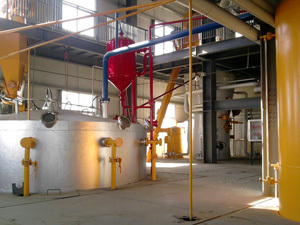 The mini peanut oil production plant is very easy to install and operate. It only requires little initial investment and a mini workspace, however performs all functions necessary for complete oil making line. Ony 2~3 persons can run the whole mini peanut oil production plant, the semi- continuous also can avoid the unstable material feeding caused by manual. This integrated oil press is an advanced model of YZS series screw oil press. 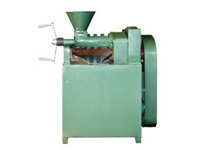 Its components include the press, motor, vacuum filter, heater and electric control cabinet in one machine. The function of the oil filter is used to get rid of impurities in the oil. Then the clean oil can be used for biodiesel, vegetable oil or edible oil. The peanut, or groundnut (Arachis hypogaea), is a species in the legume or "bean" family (Fabaceae). Peanut oil, also known as groundnut oil, is a mild tasting vegetable oil derived from peanuts. The oil is available in refined, unrefined, cold pressed, and roasted varieties, the latter with a strong peanut flavor and aroma, analogous to toasted sesame oil. It is often used in Chinese, South Asian and Southeast Asian cuisine, both for general cooking, and in the case of roasted oil, for added flavor. Welcome to contact us anytime you are interested in our mini peanut oil production plant or any of our oil press machine. We are always ready to serve you!